Above: “We were responding behind the scenes. 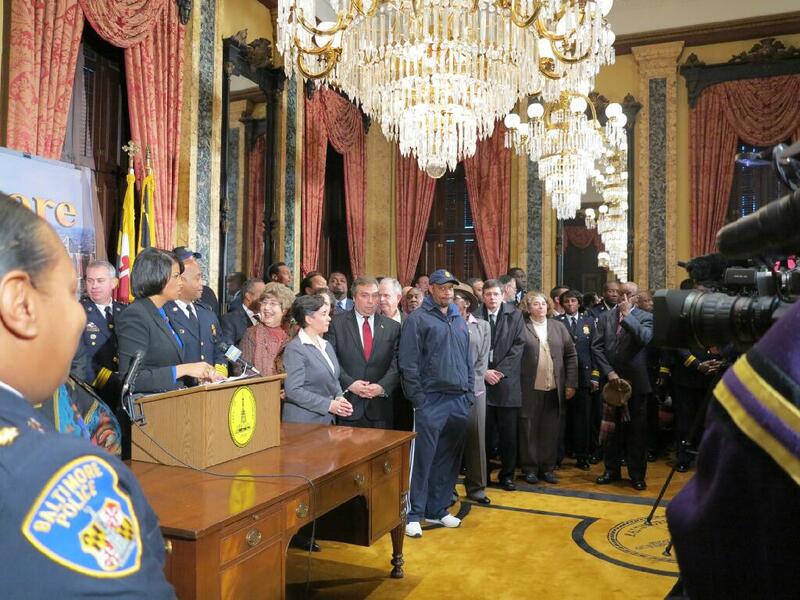 We were ready for it,” said Anthony Batts responding to the city’s rising murder toll last June. 2013 was not kind to Anthony W. Batts, a West Coast transplant who became the city’s police commissioner 15 months ago. Batts got his first taste of murder Baltimore-style last June when 28 shootings and 10 homicides took place over five days. He called a press conference and announced that he and his department were ready for any bloodshed. “I am connected to this organization. I am driving directions almost every single hour,” he told reporters, blaming the shooting spree on gangs battling over turf, random confrontations and the Black Guerrilla Family. The tough talk did not quell the killings, especially in the Western Police District. Nor did the hoopla surrounding a $286,000 strategic policing plan requested by Batts and skippered by his longtime friend, ex-LAPD police chief William J. Bratton. Baltimore continued its upward arc of street shootings through the summer and autumn, bucking the trend of plummeting homicides in other cities. While the final tallies from the FBI won’t be official for many months, a review of publicly-available police stats by The Brew show that Baltimore’s 7.3% rise in homicides in 2013 – from 219 to 235 – is matched only by spikes in Newark, Washington and Indianapolis. Otherwise, nearly all large U.S. cities – including Detroit, New Orleans, Cleveland and Oakland – recorded fewer murders in 2013. 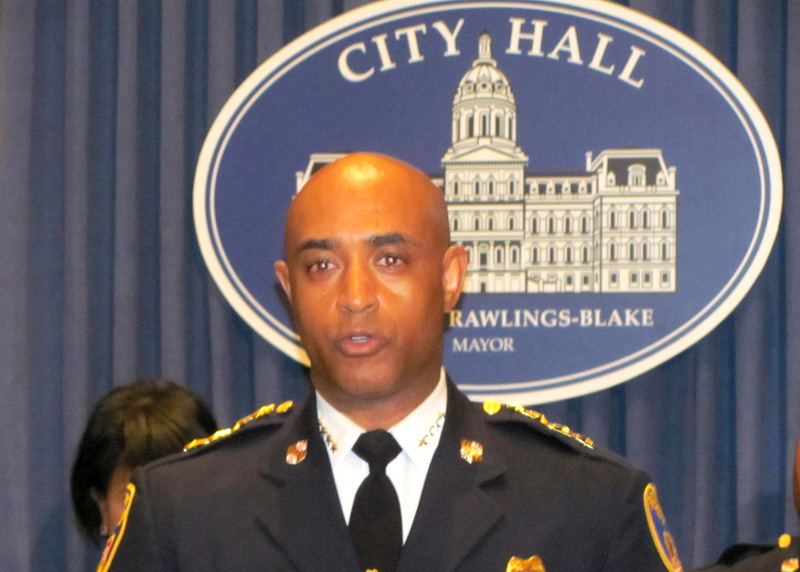 Newark’s 39.7 murders per 100,000 residents in 2013 tops Baltimore’s rate of 37.9. It was an embarrassing year for high-profile Mayor Cory Booker except that Booker is no longer mayor, having recently won the seat of the late U.S. Senator Frank Lautenberg in a special election. Washington’s spike can largely be traced to the 13 people killed at the Navy Yard last September by a single shooter. Even including the mass execution, D.C.’s homicide rate in 2013 was 15.9 deaths per 100,000 – or 2.4 times lower than Baltimore’s. Philadelphia experienced a whopping 25.6% decline in homicides (247, down from 332 in 2012) and had a murder rate identical to Washington’s. Richmond, VA, reported a 12% drop in murders and a 17.6 per 100,000 rate. Providence, RI, reported a 23% drop in murders and a 7.1 per 100,000 rate. Boston reported only 40 murders in 2013 – a historic 31% drop. Its homicide rate of 6.2 per 100,000 was six times below that of Baltimore. There were 84 fewer homicides in 2013 in New York City, making for a remarkable 3.9 murders per 100,000 residents, according to our calculations of NYPD stats. If New York had Baltimore’s homicide rate, 3,160 persons would have been killed last year, instead of the 333 recorded by police. Elsewhere in the Midwest, Detroit and Flint, Mich., experienced higher murder rates than Baltimore – but those rates went down in 2013. Flint, listed by the FBI as America’s most dangerous city in 2012, experienced a 20% decline in homicides, making for 52 murders per 100,000 in 2013. Local media attributed the presence of 40 Michigan State troopers patrolling Flint’s streets as a factor in the crime reduction. In Detroit, murders fell 13.5% to 332 last year. The city’s murder rate now stands at 47.4 per 100,000, according to Detroit police (who exclude so-called “justified homicides” from their count). Oakland, Calif. (where Batts served as police chief between 2009 and 2011) a 29.8% drop in 2013, resulting in a 23.6 per 100,000 murder rate. New Orleans, a 21.7% decline (as of Dec. 20, 2013), making for a 40.8 per 100,000 murder rate (slightly higher than Baltimore’s). Baton Rouge is projected to have a 26% reduction in homicides in 2012, while incomplete figures indicate a small decrease in Birmingham, AL. St. Louis reported a preliminary decline of 3%, making for a 34 per 100,000 murder rate. Cleveland had a 10.3% drop, making for a 23.6 per 100,000 murder rate, while Buffalo recorded 47 murders, or 18 per 100,000. Indianapolis reported a 26.7% increase in homicides. But a murder rate of 16.8 per 100,000 – less than half the toll in Baltimore. In Camden, NJ, where a regional police force took over from city police in 2013, the death toll went down by 15%. But with 43.7 murders per 100,000, this small impoverished city remains one of America’s deadliest places.